Things that happened in about 1969. 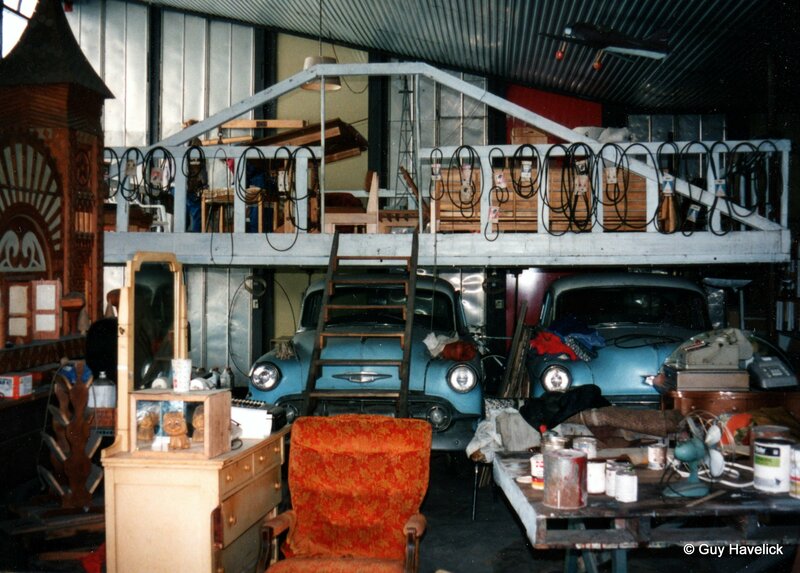 Henry’s shop, with the 1953 Chevy he drove to Alaska. Henry was possibly my favorite uncle. He always had ideas and aspirations, and his politics were a little strange. For some reason my memory of him has always been linked with the John Birch Society. Most memorable was his ability to do (almost) whatever he wanted. Build a house. Experiment with an Oldsmobile Diesel engine. Tear down a grain elevator. Build a wooden bull, pagoda or castle. Or drive to Alaska on a whim. The attached letter describes his trip and his impressions. It’s not clear to whom the letter is addressed, but it would be fun to know! Henry had a huge shop, with dozens of fascinating projects, including many of those I mentioned above. In the back of the shop were a couple of identical 1953 Chevrolet sedans. One of them is the car he took on this trip. A question for the family … Did Ray go on this trip with Henry? My memory says yes, but there’s no mention of him in this letter. One day in August I started to drive north from my home in Pettibone, North Dakota. No particular destination in mind, I just planned to see what the country looked like farther north. I had a good old car and some money for gas so thought I could just as well make use of it.